We will email the gift voucher to your recipient on the day you choose and will call them to explain how to redeem the gift. You will be able to download a copy of the gift voucher after completing your order. Looking for an ultimate birthday present or a new challenging gift experience? 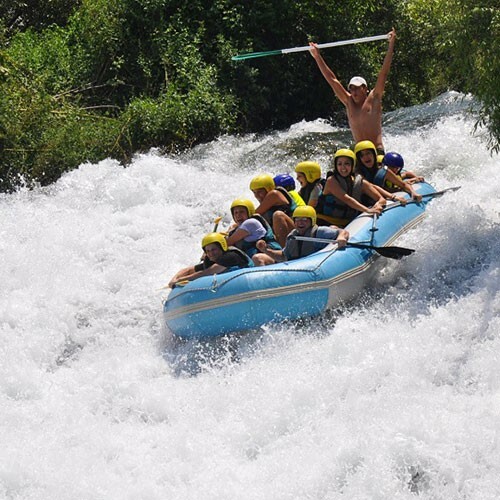 You've found it, it's Lebanon's white water rafting. Discover Lebanon in its wildest form. Calm or boiling, the river breathes. Whitewater is an outdoor sport that seduces nature oriented people as well as seekers of the ultimate. This is a full day experience at Assi River with all necessary gears starting, with a safety briefing offshore before moving to the water. The whole experience is followed by a delicious lunch including Mezzeh, trouts or BBQ and refreshments.